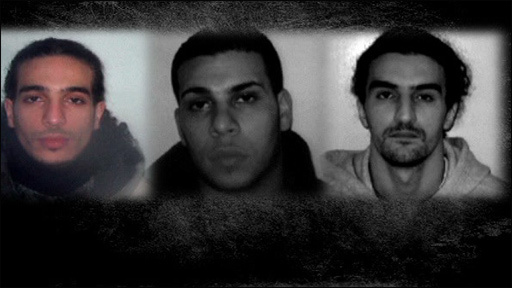 Three sons of jailed cleric Abu Hamza al-Masri have been jailed for their part in a £1m luxury car scam. His sons Hamza Kamel, 22, and Mohamed Mostafa, 27, both from Acton in west London, ran the two-year fraud with his stepson Mohssin Ghailam, 28. Southwark Crown Court heard they targeted cars in long-stay car parks, fraudulently obtaining their log books and keys before selling the cars on. The jail terms range from two to four years. Judge Gregory Stone QC, sentencing seven men for their involvement in the case, said it involved "serious criminality" and he had no alternative but to jail them all. He said Kamel had pleaded guilty to counts of dishonest handling of stolen cars and money laundering, and would go to prison for two-and-a-half years. Mostafa had pleaded guilty to two counts of fraud, which involved the use of a false French passport and a utility bill, and was jailed for two years. Ghailam, from Shepherds Bush, west London, had pleaded guilty to conspiracy to defraud and was described as a "key player". He was jailed for four years. Radical Muslim preacher Abu Hamza was jailed in 2006 for inciting murder and hate in speeches made at Finsbury Park Mosque in north London. On Wednesday the court heard that his sons were arrested in November last year, following a police investigation into the organised theft and resale of luxury cars in London. Prosecutor Martyn Bowyer told the hearing: "This was a sophisticated, well-planned and professionally executed enterprise." The gang identified luxury cars such as Mercedes, BMWs and Range Rovers left in long-stay car parks in London and applied to the Driver and Vehicle Licensing Agency (DVLA) to change the address. If the DVLA did not receive a reply from the original address within 14 days, a new log book would be sent out to an address supplied by the gang. The defendants would then inform the DVLA that the name of the registered keeper had also changed, enabling them to obtain keys for the vehicle. The gang then stole the cars, selling them to unsuspecting buyers or using them as collateral to take out loans which they never repaid. 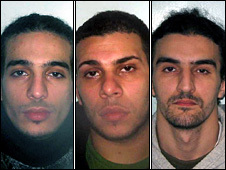 Mr Bowyer said: "This was the defendants seeking to exploit a loophole in the system at the DVLA." Police identified 32 vehicles that were used in the fraud, valued at more than £1m. Mohammed Chiadmi, 31, from Maida Vale, his brother Abdul Chiadmi, 22, from Ladbroke Grove, Khalid Jebari, 22, from Pimlico, and Hamza Mrimou, 27, from Fulham, admitted fraud, handling stolen goods and money laundering.